Highly sensitive, specific, and selective immunoassays are of great significance for not only clinical diagnostics but also food safety, environmental monitoring, and so on. 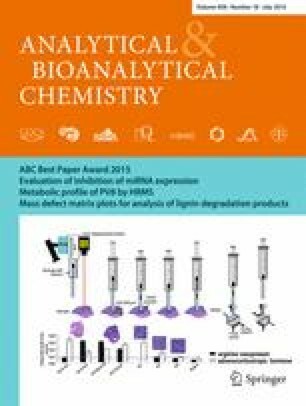 Enzyme-linked immunosorbent assays and fluorescence-based and electrochemical immunoassays are important intensively investigated immunoassay techniques. However, they might suffer from low sensitivity or false-positive results. In this work, a simple, reliable, and ultrasensitive magnetic-bead-based immunoassay was performed using biofunctionalized ZnS semiconductor nanocrystals as resonant Raman probes. The resonant Raman scattering of ZnS nanocrystals displays evenly spaced multi-phonon resonant Raman lines with narrow bandwidths and has strong resistance to environmental variation due to the nature of the electron-phonon interaction, thus rendering reliable signal readout in the immunoassays. The superparamagnetic Fe3O4 nanoparticles facilitated greatly the separation, purification, and concentration processes. It is beneficial for both reducing the labor intensity and amplifying the detection signals. The immobilization of antibodies on the surface of magnetic beads, the preparation of resonant Raman probes, and the immunological recognition between the antibody and analyte all occurred in the liquid phase, which minimized the diffusion barriers and boundary layer constraints. All these factors contributed to the ultralow detection limit of human IgG, which was determined to be about 0.5 fM (∼0.08 pg/ml). It is nearly the highest sensitivity obtained for IgG detection. This work shall facilitate the design of nanoplatforms for ultrasensitive detections of proteins, DNAs, bacteria, explosives, and so on. This work was supported by the National Natural Science Foundation of China (grants no. 51272040, 51072031, 11304035, and 61205193), the 111 project (no. B13013), and the Program for New Century Excellent Talents in the University of Ministry of Education of China (grant no. NCET-12-0815).